Mix a light application of a balanced organic fertilizer into the soil prior to planting. In midsummer, drench plants with a high-nitrogen liquid fertilizer to stimulate strong reblooming. Dill, Beans, Swiss Chard, Cosmos and Zucchini. Dill, fennel and other upright herbs, bush snap beans, chard. 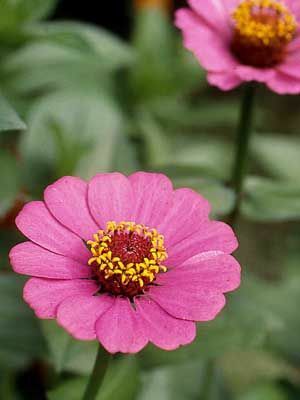 Tall, single-flowered varieties attract butterflies.